For all those who plan on staying in Dubrovnik we've gathered this extensive list of things to do in Dubrovnik. We've done the hard part, we've kayaked, cliff-jumped, drank wine, cruised on a motor yacht, tested local restaurants, so you don't have to :). All jokes aside, you'll find tons of things to do in Dubrovnik. For the best experience, we encourage you to go beyond the city walls. 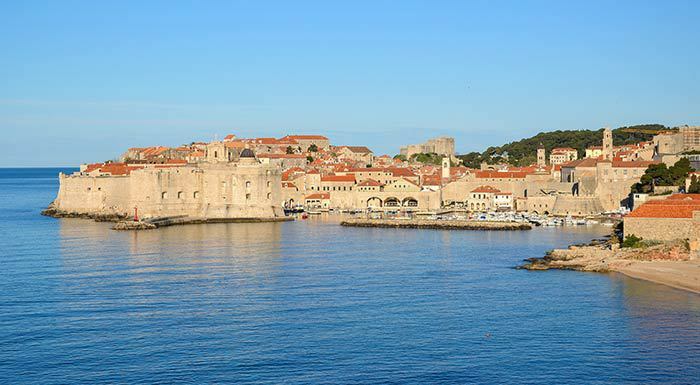 Also, don't forget to check these twelve day trips from Dubrovnik. And now it’s time to discover all things to do in Dubrovnik. 1.3 That cable car ride! With its historical old town, lovely pebbly beaches, tiny islands in the vicinity, and wine growing Konavle valley, Dubrovnik is one of the best known, and most visited towns in Croatia. It’s a perfect place to visit either for a day, or longer. Our family lives near Dubrovnik, and we visit it often, at least two, three times a year. Sometimes we are discouraged with crowds, and high prices, but all in all, we always find Dubrovnik lovely, and kind of inspiring. And besides, the weather down south is always better than in Istria where we live. Beware that this post is kind of long, as we committed to go beyond top things to do in Dubrovnik, and give you instead a comprehensive guide on what to do in Dubrovnik. When friends tip us about new activities and things to do in Dubrovnik, we regularly check back with this post and add those we find noteworthy. If plan to do only one of all possible things to do in Dubrovnik, then tour the city walls. Dubrovnik defensive walls encircle the entire old town of Dubrovnik. Two kilometers long, and consisting of 17 towers, 5 bastions, two corner fortifications, and the St. John Fortress, they are Dubrovnik’s main attraction. City walls date back to 13th century, although the walls were also constantly reinforced in later years. A walk along the city walls is one of the things to do in Dubrovnik that every visitor should do. Plan your visit as early or as late as possible to maximally avoid the crowds, and the heat (besides, the lights for photography is much better at that time of the day). Wear a hat, and a sun screen at all times. Bring enough water with you. Don’t forget the camera. Take awesome photos! Dubrovnik old town is located within the city walls. And the city walls, although the most popular site to visit in Dubrovnik, are just one of many of attractions in Dubrovnik old city. Built entirely of the white stones, polished with ages, the old town abounds in Gothic, Renaissance, and Baroque palaces, churches, and monasteries. Walk up and down the Placa (Stradun), Dubrovnik’s main street. Visit the Rector’s Palace, once the siege of the government and the most important public building in Dubrovnik. A former custom building, the Sponza Palace built in 1520 today houses town’s archive that keeps the most important documents about Dubrovnik’s history. Get away from the crowd in the back streets of Dubrovnik, or relax watching the sea and small boats in Dubrovnik’s old port. Visit museums, churches, and the oldest operating pharmacy in Europe. You can do a walking tour Dubrovnik on your own or you can also check guided Dubrovnik city tour. Or take a private guided tour to lear more about the town. Find latest prices and full itinerary here. A cable car takes you from downtown Dubrovnik 778 m up to the Mount Srd. The ride takes less than 5 minutes. Views from the top over the old town are wonderful. There is a cafe/bistro where you can have a drink or a bite while enjoying the views. A round-trip ticket costs 150 Kn for adults, and 60 KN for kids (4 to 12 years old). A small island, just 600 m off the coast of Dubrovnik, Lokrum is a protected natural reserve and a monument of a landscape architecture. Lokrum is also the largest park of Dubrovnik. It’s a popular swimming spot, and a place to spend a day away from the city, for locals and tourists alike. Lokrum is open to public from April through October. However, overnight stays on the island are prohibited. The first boat departs at 10 am from Dubrovnik old harbour. It runs every hour. The last boat departs at 4 pm. The crossing takes 10 minutes. A return ticket costs 150 kn per adult. Children 5 to 15 years of age pay 25 Kn. You can buy ticket at the spot. The boat doesn't sail in case of bad weather, and in winter. Tip: If you purchase a Dubrovnik Card, you get a discount of 30% (3-day card), or 50% (7-day card). Because it's awesome, and everybody's doing it! The best way to experience Dubrovnik in all its beauty is to see it from the sea. High-rising defensive walls, and its forts and towers look even more impressive when seen from the sea. 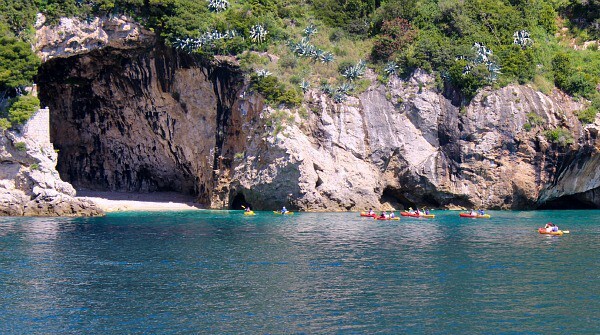 Sea kayaking is one of the most popular ways to experience Dubrovnik from the sea. Many agencies offer half-day, and full-day sea kayaking tours. A tour usually starts at the small beach just below the Pile gate, and takes you around the city walls, and the island of Lokrum, to the small pebbly cave beach. Expect to pay 28 € (28 US$, 25 £) for a 3-hour day tour, and around 35 € (40 US$, 32 £) for the sunset kayaking tour. Check availability and detailed info here. And it isn’t only for die-hard GoT fans. This walking tour of Dubrovnik takes you to many filming locations of HBO series Game of Thrones. Guides on these tours have all been extras on sets, and can tell few anecdotes from behind the scene. We highly recommend booking Game of Thrones Dubrovnik tour in advance. Expect to pay around 48 € (56 US$, 43 £) per person, but it also includes a panoramic cruise. Save on Game of Thrones Dubrovnik Tour & Cruise by booking in advance. Or book a Game of Thrones simple walking tour that will set you back only 20 € (23 US$, 18 £) per person. Check availability here! Buza 1 and Buza 2 are two tiny bars located on the cliffs at the outer edge of the city walls. Both Dubrovnik cliff bars are extremely popular throughout the day. Have a drink, cliff jump in blue Adriatic (or better not for your own safety), or watch the sun sets over the sea. We love eating out in Dubrovnik! And for us, along with Zagreb, Split and Istria, Dubrovnik has the best restaurants in all Croatia. Don’t miss fresh and elegant seafood at the Oyster and Sushi Bar Bota, a fusion of Croatian and Asian dishes at the Azur, classical Mediterranean at the Proto, and laid back atmosphere and simple but yummy seafood dishes at Lokanda Peskerija and Kamenice. Read our full post on best restaurants in Dubrovnik Croatia. Or check this lovely food and wine tour of the town. While many people visit Dubrovnik for its historical and cultural sites, don't forget that this Croatian gem is located right at the Adriatic. Soak in the sun on many beaches in and around Dubrovnik. Here is our full post on best beaches in Dubrovnik. Among a load of shops in Dubrovnik old town selling the Game of Thrones inspired t-shirts, other memorabilia and cheap souvenirs, it's a real refreshment to stop by Stjepko Mamic's gallery. Stjepko is a sea captain, turned painter, whose paintings of fish and underwater world are vibrant, and vivid. This little gallery is worth visiting even if you don't plan to buy any paintings. The old port is our favorite spot to chill out, and people watch in Dubrovnik. Located in the east part of the town, the old port is an excellent place to relax, watch the world go by, and take a walk along the Porporela breakwater. The old port was built in the 15th century, and completed in 16th century. In the vicinity of Dubrovnik, you'll find a couple of rock climbing sites. The most visited rock climbing site, although not the most exciting, is Brgat. Brgat is a small site, attractive for its vicinity to the town, really easy access, and the ease of climb. Here you can test your skills on 15 climbing routes. Routes have an average length of 12 m, and they are suitable for beginners. If you are a beginner climber, consider booking one of the guided rock climbing tours. You'll get a brief climbing and safety instruction, and experience free rock climbing using only your hands, feet and body. You can book this experience in advance through our partner. Dubrovnik cliff jumping attracts many young tourists in search of some adrenalin rush. The most popular cliff jumping spot is near the Buza Bar. However, cliff jumping at Buza is also a cause of the majority of fatalities and injuries in Dubrovnik in the last years, as more tourists started taking a dive here. Perhaps less thrilling, and less convenient, but safer option for Dubrovnik cliff jumping, you’ll find on the island of Lokrum. The entire coastline here is rocky, and there are lots of spots for cliff diving. Cliffs range from few meters to 20 m in height. And many have ladders to climb up from the sea. Dubrovnik is gorgeous from the sea. Whether you decide to sea kayak around the old town, rent a motor boat, or book a sunset cruise, you'll enjoy magnificent views of the old town, and the city walls. We highly recommend a sunset dinner cruise aboard Karaka, a true replica boat, a galleon from the time of the Dubrovnik Republic, and its seafaring golden age. The tour includes a 2.5-hour cruise around the old town, and the island of Lokrum, a glass of sparkling wine, and a buffet dinner aboard. Interested? Save on this tour by booking early. If you are larger party (up to 12), you might consider taking a Private Dubrovnik Champagne Sunset Cruise onboard a luxury yacht or a speedboat. Dubrovnik is full of history, apparent at every corner of the old town. But the town also features many interesting museums worth exploring. Our favorite museum is the Ethnographic museum Rupe. Tucked away in the back streets of the old town, and housed in the ancient granary, the Rupe museum features over 5.000 pieces showcasing Dubrovnik social life, customs and traditions of its people throughout the history. A Dominican Monastery also houses important artworks from ancient Dubrovnik. A monastery has wonderful architecture, especially a cloister featuring splendid stonework, and lovely landscaped garden. The tower Gornji Ugao was an original cannon foundry. It spreads on over 600 m2, and it has preserved all parts of the production process. The museum is super interesting, and the guide – Divo makes a visit really worthwhile. A recently open Love Stories Museum attracts visitors with its unique exhibitions of love and romance. Through a series of unique items, the exhibitions tell love stories from movies and TV shows that were filmed in Dubrovnik (Game of Thrones is there too! ); from the music through the people who were inspiration for famous love songs; then local love stories and myths as well as global collection of love stories donated by various people from all over the world. There are many other museums in town, but these are our favourite four. We’ll cover all other museums in a separate post. You'll notice ice cream parlours on every corner of the old town. But one place in particular is famed for its creamy ice creams, and yummy crêpes – Dolce Vita. Tucked away in a side street, just off the Stradun, Dubrovnik's main street, Dolce Vita is equally frequented by locals and tourists. It offers 28 different flavours of ice cream, a selection of homemade cakes, and awesome pancakes with a choice of different toppings. Another ice cream parlour is gaining on popularity since it opened in 2017 –Peppino's Confectionery Lovers' Club. Find it at Ulica od Puca 9 street! Dubrovnik, with so many years of history, tells many different stories. You can explore the town anew every time you walk it through, always looking for some other aspect of its rich history. Do you know that back in time of Dubrovnik Republic no political decision could be made on days when south-east wind was blowing? Or that Dubrovnik Republic had no army at all, and yet, it was one of the most important maritime trading centres of its time? You can discover these and other Dubrovnik’ intriguing stories with Myths & Legends tour. Another interesting aspect of Dubrovnik’s past is town’s Jewish heritage. In fact, Dubrovnik’s synagogue is the oldest functioning Sephardic synagogue in Europe. Since 1407 Dubrovnik Senate allowed Jewish people to settle in Dubrovnik. However, it wasn’t until late 15th century and an expel of Jews from Spain that larger number of them chose Dubrovnik as their permanent home. The life wasn’t always easy for Jews in Dubrovnik, and today they remain less than 50. The community might be small, but it is strongly determined in preserving Jewish heritage in Dubrovnik. Take a private walking tour to learn more about it. We also like a kind of quirky ghost tour of Dubrovnik. To add a thrill to the story, this walk starts at twilight at Dubrovnik’s cemetery – Boninovo. It takes you from there to the old town, through narrow streets, and back alleys, revealing many scary stories from Dubrovnik’s past. True or not, who could say, but these stories will certainly give you the chills. Well, if you like those bizarre stories, and like to visit off-the-beaten path locations, Daksa, a small uninhabited island off the coast of Dubrovnik can be a real find. Yet, only if you find someone willing to take you there. As very few locals do. This tiny island’s disturbing history dates back to 1944 when almost 50 people accused of being Nazi-sympathizers were killed on the island. Since then, the island is believed to be haunted, and very few locals ever visit it. The island today features nothing but ruins of the 13th century Franciscan monastery, villa, and lighthouse, heavily overtaken by nature. If you are interested in Daksa, Darmon Richter’s shares his experience about visiting Daksa over at The Bohemian Blog. Elafiti Islands is a small archipelago off the coast of Dubrovnik. The archipelago consists of several islands, but only three of them are inhabited: Kolocep, Lopud, and Sipan. All three islands are small, each with only a couple of settlements. Lopud and Kolocep are both car-free. Elafiti are nice to visit if you like to escape hustle and bustle of Dubrovnik for a day, if you like sandy beaches (Lopud’s Sunj beach is one of the rare sandy beaches in the area), if you like hiking, or if you look for a special place to dine out with your significant one (Kolocep’s Villa Ruza has an awesome seafront terrace, and offers yummy seafood). We’ve visited Elafiti back in 2014 aboard a Jeanneau Prestige 42 Fly motor yacht. What a great experience! If you have some money to spare, we highly recommend a private motor yacht tour of the islands. Otherwise, check some of these awesome boat tours to Elafiti Islands: Elafiti Islands Day Trip with Lunch from Dubrovnik, and Elafiti Islands Day Cruise on a Karaka Ship, a replica of a traditional medieval boat. What a better way to explore the coast around Dubrovnik than riding around on a jet ski. In fact, you don’t need any boating license to ride a jet ski (if you want to rent a boat, you’ll need a boating license). There are few places in Dubrovnik where you can rent jet skis. Jet Ski Rental is located on Lapad peninsula, and Gari transfer just across the bridge toward Mokosica (Gari transfer, being out of the town, offers pick up and drop off to your desired location). The prices start at 350 Kn (approx. 50 € / 57 US$ / 45 £) for a 20-minute rent, to 2000 Kn (270 € / 305 US$ / 245 £) for a 4-hour rent. However, if you are not familiar with the surrounding area, and want to see as much as possible in a short time that you’ll spend on a jet ski, both companies offer jet ski safaris. On these safaris, you join a group tour with a local guide who will show you all the highlights. You can also rent a jet ski, or jet ski safari tour through Viator. Caves, wrecks, walls and reefs await divers in waters around Dubrovnik. The most popular sites include caves, walls and house reefs in the sea near the hotel Dubrovnik Palace, Cape Bezdan and Jabuka on the island of Kolocep, waters around Lokrum Island, and islands off the coast of Cavtat. Blue Planet diving put together a list with a detailed description of all major diving sites in and around Dubrovnik. You can check here 1-Day Discover Scuba Diving Course or 1 Dive for Certified Divers. We've heard about professional photographers whom you could hire to take photos of you on your travels for the first time from some fellow travel bloggers. Since then the service spread across the globe, and now you can do it in Dubrovnik too. Dubrovnik is picture-perfect town, and it offers ample possibilities for photo shooting. However, with all those crowds, tricky light in the compact old town and narrow streets, taking a nice photo of you can prove difficult. You can snap photos yourself, using a selfie-pole, or you can simply make a professional do it for you. Prices start at 250 US$ for a 30-minute photo shoot. Wine is super popular in all Croatia. 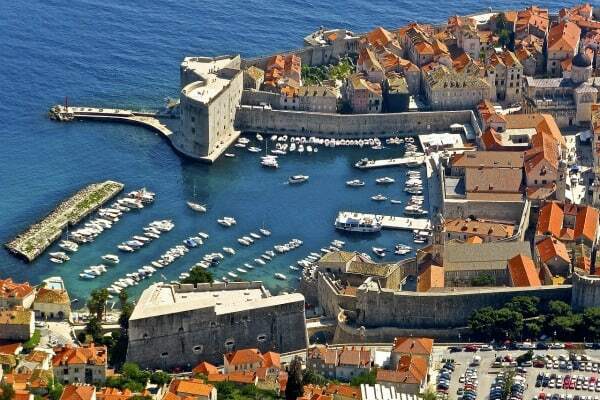 And Dubrovnik is no exception. Wine-growing Konavle Valley lies just 20 km south of Dubrovnik, and it's famed for white wine Malvasija Dubrovacka. Up north, 30 km from Dubrovnik, lies Peljesac peninsula, famed for its Plavac mali grape, an offspring of Zinfandel & Dobricic. The best Croatian reds are Dingac and Postup, both made of Plavac mali grapes grown on the south slopes of Peljesac. Thus, when in Dubrovnik, don't miss tasting some local wines. You can do so at Wine Bar D'Vino that has a good choice of Croatian wine by glass. Or you can do so by going to the source: visiting wine producers in the region. We highly recommend visiting Karaman Winery in Konavle, or Milos Winery and Saints Hills Winery on Peljesac. Check availability and prices of this great Dubrovnik wine tasting tour. Deep sea fishing is fishing that you never know how it will go. So, you even might catch something. But, if there is one place to go deep sea fishing in Croatia, then it must be Dubrovnik. Adriatic Sea is generally very shallow, and it only gets deeper in the southern part of Croatia. Thus, Dubrovnik! Guys behind Dubrovnik's deep fishing tours know the area in and out. Their local knowledge helps increase chances for successful fishing. The best time to go deep sea fishing is from late August on, as it’s tuna and bonito fishing season. Prices start at 100 € per person (with full capacity of 4). Check availability and prices here. Dubrovnik Escape Room offers two distinctive escape games. Both have similar rules: 2 to 5 players, 60-minute time slot to find clues, solve the puzzle, and get you out of the room. However, themes differ: in one you are trying to save the kingdom, and in other, you help find the hidden treasure while learning about the history of Dubrovnik. The prices go from 185 Kn to 230 Kn per person, depending on number of players, and season. Dubrovnik simply calls for photos. And then, it calls for some more. However, good photos require some planning. And part of the planning is to find a perfect location for a photo shot. City walls are perfect for taking a lovely photo of Dubrovnik’s red roofs, the main street, and some close-ups, and hidden spots that you normally don’t see but from the bird’s perspective. Just out of the Pile Gate, past Hilton Hotel, and then up the hill, you’ll find Gradac Park. This is a lovely little park, and a good place to chill out from the crowds. However, from the parking next to the park, you can also snap few nice photos of Lovrjenac Fort. This fort is doubled as the Red Keep in HBO’s Game of Thrones series. Park Orsula is our favourite place to enjoy panoramic views over Dubrovnik’s old town. We recommend taking a walk along the sea, via Vlaho Bukovac Street all the way to Orsula Park. Views are spectacular all along, but this Dubrovnik neighbourhood is also interesting to explore. Also, don’t forget Srd mountain. The views from the top are spectacular. You can reach the top by walk, by car, or by cable car. There are also few restaurants in Dubrovnik that offer amazing views, like Stara Loza’s roof top terrace, Prora beach restaurant at the hotel Excelsior, or Komarda restaurant. There is no view over Dubrovnik, like a view from the sea. A couple of years ago, we’ve rented a motor yacht, and cruised from Gruz port all the way to St. Jacob beach. Approach to the old town is amazing. We couldn’t stop taking photos, although at the end of the trip they all seemed pretty much the same (still beautiful, though!). There are few ways to take a panorama of Dubrovnik from the sea. In style, booking a cruise around the old town, preferably at sunset. However, this is the most expensive option. Other idea is to hop on big boats, exclusively for panorama, or as a part of another boat tour (like one to Elafiti islands), and then to enjoy Dubrovnik panorama as you sail away from the old port. Third, and the cheapest option is to hop on a boat to Lokrum. This option will set you back only 150 KN, but the viewing will be limited also, as the boat doesn’t make a ride around the old town, but rather southwest toward Lokrum. This way, you’ll only see south part of the walls. If you are looking for water related things to do in Dubrovnik, fly board can add some fun to your Dubrovnik trip. Few places offer fly board experience in Dubrovnik: Jet Ski Rent, and Dubrovnik Water Sports, to mention few. Fly board propels you up to 15 m into the air, that you’ll feel like flying. Prices start at 480 Kn (65 €) for a 20-minute fly. Paddle boarding is fun. However, it seems that stand-up paddles still haven’t hit Dubrovnik. We found SUP rentals in nearby Cavtat, and Zaton. At 90 kn per hour, there is no excuse not to take on paddle boarding while in Dubrovnik. You should be able to easily reach Cavtat and Zaton by public transportation. Dubrovnik has two open-air green markets: one is in Gruz neighbourhood, and another one in the old town, at Gunduliceva Poljana, just behind the main street. The market is open daily until 1 pm. Go early in the morning to buy fresh fruit and vegetables. This can especially be handy for those who rent an apartment in the old town. There are couple of agencies in Dubrovnik offering quad safari tour through Dubrovnik countryside. However, we highly recommend Kojan Koral ATV tour. Pero, the owner, used to work with us on a cruise ship, prior to opening Kojan Koral in his hometown. 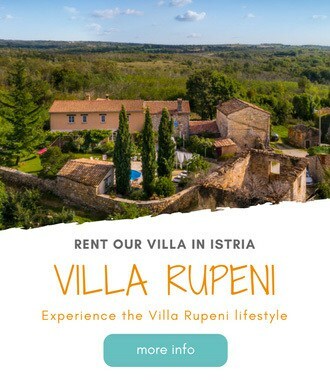 The tour starts at their premises, in a village of Radocici, just 30 km south of Dubrovnik (transfer is included in the price of tour). After a brief safety instructions, you embark on a 2.5-hour ride through swamp, river, hills, and meadows. A snack is served at the Kojan Koral upon return. The price is 600 Kn (80 € / 90 US$ / 72 £) per person for two-persons quad, and 700 Kn (93 € / 105 US$ / 85 £) per person if only one person takes a quad. 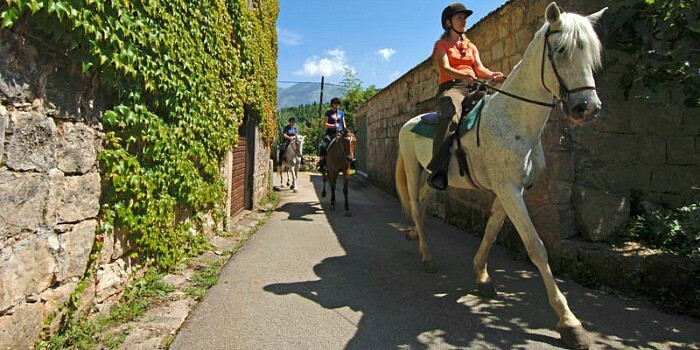 For horseback riding in Dubrovnik, we again recommend our friends at Kojan Koral. Their horses are beautiful, and well cared about. The tour lasts two hours. The trail is 11 km long, and it takes you through forests, and along rocky coastline. The tour is suitable for beginners. It’s super relaxing. The price start at 112 € per person, and it also includes wine and snack upon your return to the ranch, but also a transfer to and from your accommodation. This beautiful botanical garden dates back to late 15th century. Ship captains brought various plants from their worldwide travels and planted them in Trsteno Arboretum. Protected as a monument of landscape architecture, Trsteno Arboretum is a peaceful oasis just 20 km north of old town Dubrovnik. You can spen a couple of hours walking through the gardens and enjoying views. Trsteno Arboretum also served as a filming location for HBO’s Games of Thrones. It doubled as Red Keep Palace gardens in King’s Landing. You can reach Trsteno by local bus on your own, or you can visit Arboretum as a part of Game of Thrones walking tour. A large, fortified tower, Sokol Grad lies just 30-minute drive from Dubrovnik. It was first open to visitors in 2013, after extensive restoration works. The site has an interesting history; some artefacts found there date back to Bronze time. However, in 1420 the site became a part of Dubrovnik Republic, and the tower was erected to today’s size. The restoration is excellent. You can really easily imagine what everyday life of the 15th century soldiers stationed there could look like. You can also see different weaponry including original canons. Ticket costs 70 Kn per adult, and 30 Kn per child (5 to 18). Read our full post on our visit to Sokol Tower. In the forest near a village of Komaji, just 30-minute drive from Dubrovnik, you’ll find Cadmos Village, an adventure park offering three-level adventure course, four zip lines, giant swing, archery, and paintball. The place is run by two friends, and they built it from scratch. This is a great place to spend a morning or afternoon out and away from seaside crowds. You can spend a night in a real treehouse, over at the Cadmos Village. The treehouse is built on a 50 m2 wooden platform, on the oak tree. It’s fully equipped, and comfy with its own bathroom and kitchen. The outdoor terrace is amazing, featuring deck chairs, but also a hammock (I am a big fan of hammocks!). It’s a unique spot to spend your holidays in Dubrovnik. Prices start at 100 € a night in high season, and the treehouse can accommodate 6 persons. We love taking a small detour when driving down to Dubrovnik. In a village of Slano, we climb up the hill, to the old road built in time of Napoleon. The road is narrow, but asphalted throughout. It goes from Slano to Trsteno. It takes you up the hill where views over the sea, and surrounding islands are spectacular. Besides, it’s a free activity to do in Dubrovnik. Despite a great number of visitors that visit Dubrovnik, Konavle valley manages to remain an authentic and peaceful place away from the crowds, but yet only 30-minute drive from the old town Dubrovnik. This valley has always been considered a belly of the town, feeding people of Dubrovnik from many centuries. To this day, people here grow olives, grapes, veggies, and fruits, including figs, lemons, and mandarins. This narrow strip of land nested between mountain Snjeznica on one side, and Adriatic Sea on the other side, covers about 200 km2. A lovely seaside town of Cavtat is a municipal centre. Forest covers about one third of the region. There are also two rivers flowing through Konavle: Ljuta, and Konavocica. Here you’ll find quaint villages, beautiful nature, traditional architecture (pay attention to interesting conical chimneys! ), good local restaurants, and wine and olive oil producers. Konavle is also famed for its embroidery. It can only be made of local silk that has been produced in Konavle for centuries. You can actually buy some of it in Dubrovnik from local lady – Kate who sells and demonstrates traditional Konavle embroidery at the stairs near Dominican Monastery. There are few ways to explore Konavle: by tourist train, on a jeep safari (see more below), on a hiking or a cycling tour (see below). Another great way to discover Konavle Valley is taking a jeep safari tour. This tour takes you sightseeing through Konavle region, from the flat terrain of Konavle Valley across streams of Ljuta River, to cliffs rising high above Adriatic sea along villages of Radovcici and Popovici. The tour also includes a off-road demonstration ride on a polygon, a visit to old watermills on Ljuta River, and a snack and drinks in a local tavern. Things To Do In Dubrovnik | Pin Me For Later! If you like hiking, this 4-hour Konavle hiking tour can be just a right thing to do in Dubrovnik. The hike starts at the former train station in Vojski Do (today the property houses a tavern), and takes you along former railroad, through nature and villages beneath Snjeznica Mountain. You’ll pass through two former railroad tunnels. The tour ends in Cadmos Park Adventure Park. The views all along the patha are awesome. The hike itself is only 2-hour long. The hike is easy to moderate, as you mostly walk downhill. If you would like to hike Konavle region on your own, check few hiking trails explained here. Dubrovnik town offers little opportunities for cycling. Dubrovnik is very hilly, and also busy with car traffic. Thus, not easy to cycle. However, you can do some decent recreational cycling on Lapad peninsula. For an enjoyable rides, you’ll need to get out of town. Popular cycling trails, you’ll find on Elafiti Islands and in Konavle. CHECK THIS KONAVLE CYCLING TOUR. You can also cycle Elafiti islands on your own. Just take a ferry across to the Elafiti islands, and the rest you do on your bicycle. Or, you can also book a group cycling tour to Elafiti. Vjetrenica Cave is located in neighbouring Bosnia & Herzegovine, just 40 km northeast of Dubrovnik. Vjetrenica is the largest cave in this area. It’s rich in stalactites, stalagmites, halls, galleries, and corridors, and many underground streams, and lakes. It’s also one of the richest caves in the world in terms of biodiversity. The largest hall is around 600 m long, and its open to public. Not too many tourists wander here. So we highly recommend that you call in advance should you wish to visit a cave on your own. Bear in mind that a part of the road to Vjetrenica is a bit narrow. Also, don’t forget your passport, as you’ll be crossing border into Bosnia. An adult ticket cost 15 KM (around 8 € / 9 US$ / 7 £). The tour takes 40 to 60 minutes. Otherwise, consider booking a group tour to Vjetrenica Cave from Dubrovnik. Peljesac is one of our favourite parts of Croatia. And despite being so close to Dubrovnik (Ston, where peninsula joins the mainland, is only 60 km from Dubrovnik), and being famed for its red wine, wonderful beaches, and serving as the main gateway to Mljet and Korcula islands, Peljesac peninsula still remains under the radar to many tourists. If you wish to visit Peljesac on your own, you’ll need a car (you can rent one for a day here). It takes about an hour to reach Ston, where you can visit the longest fortification walls in Europe (Ston Walls), and saltworks. From Ston, you can drive up north, all the way to Orebic (where you can take a ferry to Korcula if you have time). On the way, stop for a wine tasting at Milos or Saints Hills Winery, take a scenic road through wine growing Dingac Hills where you can admire wonderful views over the sea, and the vineyards, or beach hop among some of the nicest beaches in Croatia. If you are short with time, or you prefer not to drink and drive, look into this small group tour of Peljesac & Korcula. Border crossing to Montenegro is only 40 km south of Dubrovnik. If you stay in Dubrovnik for a couple of days, visiting Montenegro can be a good idea (especially if you still get excited about visiting multiple countries on your holidays). Kotor town, and Kotor Bay, are within easy reach from Dubrovnik, and well-worth a visit. Walled old town of Kotor is full of history, and lovely medieval architecture, including churches, palaces, narrow cobbled streets, lively town squares, and cozy cafes. If you travel by car, take a ferry boat Lepetari-Kamenare. It will cut your driving time significantly. However, on your way back from Kotor, we highly recommend that you take a coastal road around the bay of Kotor. Stop in a lovely village of Perast, and time-permitted visit a small island Our Lady of the Rocks (cro. Gospa od Škrpjela) with a church of the same name. You can also plan a meal at Catovica Mlini restaurant in a village of Morinj. You can also consider visiting Budva, and Lovcen National Park. Budva, today, it’s the most popular seaside resort in Montenegro, with very nice old town, awesome sandy beaches in the vicinity, and active night life. We also liked climbing up the mountain to the Lovcen National Park. The road up from Kotor is old, narrow, and with a couple of serious serpentines. To meet another car, or a bus, on this road can give you serious chills. However, the views are well-worth a climb. You can easily visit Montenegro on your own. At least parts of it, like the itinerary that we’ve suggested above. However, if you don’t fancy driving in a foreign country, through the narrow and winding roads, plus you are budget-minded, you might consider booking this GROUP TOUR TO MONTENEGRO. Korcula Island is one of the most popular, and most visited Croatian islands, along with Hvar, Brac, and Krk. Every time we travel to Korcula, I keep repeating to myself how beautiful this area is. First that ride through Peljesac to Orebic, with wonderful views opening first near Drace over the sea, the small islands, and the mainland; then, the second view over Orebic, Korcula, the sea, and the wine-growing Postup hills. Seriously, the views here are to die for. As the boat leaves Orebic toward Korcula, the new views emerge. Arrival to the town of Korcula is spectacular. You are immediately transferred to medieval times as you approach this walled town entirely built of white stone. Korcula Town is also called “Little Dubrovnik” due to its layout and architecture resembling Dubrovnik old town. In June, July and August, passenger catamaran leaves Dubrovnik at 8 am, and departs back to Dubrovnik at 4 pm. At 130 Kn per person, this is perhaps the most convenient and the cheapest way to reach Korcula. Once in Korcula, you can rent a scooter, and check other places on the island, or have a lunch in Tavern Mate, or Pagar in Pupnat (for us two best restaurants on the island). The catamaran sails daily at 7.00 from Dubrovnik, and arrives in Korcula at 9.00 am. The return from Korcula is at 7.25 am with arrival to Dubrovnik at 9.25 pm. By car through Peljesac peninsula to Orebic, and then with a ferry boat across to Korcula. It takes 2 hours to reach Orebic from Dubrovnik. Ferry crossing from Orebic to Korcula takes 15 minutes. Ferry boat from Orebic departs all year around. Jadrolinija operated car ferry takes you to Domince, a ferry port 5 km south of Korcula Town. If you travel by car, this is OK. But, if you travel on foot, this can be inconvenient. In that case rather look for passenger boats in Orebic that take you directly to Korcula town. The stress-free way to visit Korcula from Dubrovnik is on a guided group tour from Dubrovnik. MORE INFO HERE. Mljet is a small, and quiet island in the southern Dalmatia. It’s within an easy reach from Dubrovnik, and a nice place to escape for a day or two if you enjoy nature. There are very few settlements on Mljet. And all of them are just small, tranquil villages. One third of the island is a national park. The national park is Mljet’s main attraction. Mljet National Park stretches over 5400 hectares, including sea area, lakes, forests, cliffs, and islets. Two main attractions within the park are Malo (small) and Veliko (big) Lakes, two deep, almost enclosed bays connected to the open sea, and thus filled with salt water. Within a big lake, there is a St. Mary’s Island where you’ll find St. Mary’s Church, and Benedictine monastery dating back to 12th century. Admission to the park is 125 Kn per adult from June through September, and 70 Kn in other periods. It includes an entrance ticket to all land sights. However, if you wish to cross over to the St. Mary’s Island, the boat ride will set you back additional 30 Kn per person (return ticket). You can also rent bicycles in the park (not included in a ticket price). Hiking and swimming are popular activities in the park. If you would like to explore the island beyond the park, we highly recommend visiting Odyseuss cave, and sandy beaches of Saplunara. By catamaran: In July and August, catamaran departs from Dubrovnik port Gruz daily at 8 am (Tuesday, Thursday), or 9.15 am (Mon, Wed, Fri, Sat, Sun). It arrives to Polace at 9.50 am or 11.05 am respectively. A one way ticket costs 70 kn per person. More info at G&V website. By car ferry: Car ferry connects Prapratno on Peljesac to Sobra on Mljet Island. From June through September, ferry sails 5 times a day. The crossing takes 45 minutes. A one way ticket costs 28 Kn per person, and 140 Kn per car. Additional info find at Jadrolinija website. If you plan to visit Mljet from Dubrovnik only for a day, we highly recommend booking a group tour. This way, you’ll be able to see island’s highlights, without a need to navigate complex world of catamaran, and ferry connections, or transfers on the island. Check availability and latest prices here. We love visiting Mostar. The old town is small, but nicely preserved. It’s full of history, interesting ottoman architecture, mosques, oriental stores, and lovely restaurants, many with river views. The central point of the old town is the old bridge, an UNESCO World Heritage Site. Mostar is 150 km far from Dubrovnik, so a visit to the town is still doable. You should take a whole day for this trip. While 150 km isn’t that far, bear in mind that you need to cross border in Bosnia – twice. First in Neum (the only coastal town in Bosnia & Herzegovine), and then again in Metkovic. Due to the distances, and multiple border crossings, actually the best way to visit Mostar is on a guided coach tour. Check availability and prices here. Vera comes from Neretva Valley, and we absolutely love this region. It’s underrated, undiscovered, mostly agricultural, and very little touristy. Yet, it’s a beautiful part of Croatia, with its rugged hills, olive groves, mandarin orchards, rivers, channels, and large Neretva River estuary. The area is famed among kite-surfers, and bird-watchers. It’s also popular for its distinctive regional food including frogs, and eels. Here throughout history, people lived off and depended heavily on river. They used specially designed boats to move people and goods along the river. Those boats are called: trupa (a small wooden boat), and ladja (a larger wooden boat typical for Neretva valley). Today these boats aren’t so essential for everyday life of people here, but they are rather kept as a part of tradition, and put in use for tourists who like to explore the area. There is a yearly race of ladje boats, held on a second Saturday each August. If you are interested in exploring Neretva valley on a traditional boat, you can do so on your own. Many local restaurants offer a boat ride and even serve a meal aboard a boat. You can check it here. You can also take a group coach tour from Dubrovnik to explore Neretva Valley. Prevlaka peninsula is the southernmost part of Croatia. It overlooks Montenegro, and a town of Herceg Novi. The area is also protected nature reserve. I’ve visited Prevlaka for the first time some 10 years ago with my father in law. Vera had some business in Dubrovnik. And the two of us? Well, we had lots of time on our hands while waiting for her. Visiting Prevlaka seemed like a good idea. And good idea it was. Until we decided to rent bicycles and wander around without a map, and without any idea where to go. To make long story short, we’ve ended up carrying our bicycles way more time than we actually rode them. Bad, bad idea! Prevlaka sees very few visitors. But, it’s a lovely place to visit for nature aficionados, if you like hiking, cycling, or exploring old abandoned former military buildings and fortress. Add to that complete peace and quiet, and wonderful views over Montenegro, and you have a winning formula for a perfect day out not far from Dubrovnik. You can reach easily Prevlaka by car from Dubrovnik. Just follow signs for border crossing to Montenegro. As you come closer to the border you’ll see multiple signs pointing to Prevlaka peninsula. We hope we have helped you gathered at one place all interesting things to do in Dubrovnik. We also wrote a complete travel guide to Dubrovnik, if you like to plan your stay in Dubrovnik further. However, if you don’t have time to read another of our long posts, we’ve put together a quick Dubrovnik guide here below. If you would like to plan your stay in Dubrovnik further, we’ve listed few accommodation options down below. We know Dubrovnik tourist offer very well. Not only that our family lives close toDubrovnik, but Vera also worked for Valamar, the largest Croatian hotel chain that also owns and manages hotels in Dubrovnik. READ OUR IN-DEPTH DUBROVNIK ACCOMMODATION GUIDE! Hotel Berkley: There isn’t much choice among Dubrovnik 3-star properties. We like Berkley hotel for its friendly staff, simple, but stylish interiors, outdoor swimming pool, clean, and comfy rooms. We also like the fact that rooms aren’t carpeted. Check availability & prices. Hotel Bellevue: Perched on a cliff above the sea, Bellevue hotel is a 5-star property offering spectacular sea views. With its 91 rooms and suites, hotel Bellevue feels more personal than other Dubrovnik hotels. Staff is super-friendly, and attentive. We also like on-site parking, proximity to the old town (15-minute walk), lovely pebbly beach, and onsite beach restaurant. Check availability and prices. Hotel Villa Dubrovnik: This small, boutique hotel features only 54 rooms, and offers splendid views over the old town, along with other perks, like plated breakfast, swimming pool, private beach, and a Venetian Vaporetto boat transfer to the old town (James Bond style!). Service is superb, as Villa Dubrovnik is part of Leading Hotels of the World, and follows their service standards. If you have money to spare, don't even think twice – Villa Dubrovnik is the best choice for luxury stay in Dubrovnik. Check availability and prices. Dubrovnik Finest Apartments: These brand new studio apartments are pretty spacious for studios, and come with all modern cons: free WiFi, flat-screen TV, and a kitchenette. The location is superb, just few meters from the old town. Check prices and availability. Croatian craft beer scene is booming. However, this trend has not yet reached Dubrovnik. In fact, south of Split leaves a lot to be desired in the terms of local craft beers. There are few bars in Dubrovnik that offer a limited choice of Croatian craft beer. While the choice isn’t extensive, it’s still better than your classic lager offer, you’ll find in majority of bars here. FestiWine Festival: This wine festival takes place in Dubrovnik in late April / early May. The festival’s main aim is to promote and award best wines from Dubrovnik region. Besides program targeted at wine producers, and other wine industry professionals, visitors can enjoy wine and food pairings at various Dubrovnik restaurants taking part in this event. Check full program here. Runners’ Days Dubrovnik: The last weekend of April in Dubrovnik is made for runners. Activities include a half-marathon, run along the city walls, 5K charity race, and kids’ race. If you are in town on these days, join in the fun. You can check full program at official website. Dubrovnik Summer Festival: Between 10 July and 25 August Dubrovnik hosts Summer Festival since 1949. The festival takes place at various open-air venues throughout the town. The program consists of opera, teather, classic music and dance performances. Find more information at their official website. Festival of Jams & Marmalades: In an effort to protect heritage and traditions of Dubrovnik region, a non-governmental organisation DESA organises the Festival of Jams & Marmalades in Dubrovnik. The event takes place on Stradun, near the St. Blaise church, where local producers bring their homemade jams, marmalades, and preserves for tastings and sale. The event takes place in early October. Check more info here. Good Food Festival: This culinary festival takes place in October. It offers a load of activities such as educational culinary workshops, wine tastings, special & promotional menus in participating Dubrovnik restaurants, Sights & Bites tour of Dubrovnik, and more. Find more info on this fun gourmet event here. By bus: Getting around Dubrovnik and to the surrounding villages is easy using public transportation. Libertas is the company that operates Dubrovnik city buses. You can find schedule, line map, and prices at their website. By car: Traffic in Dubrovnik can be heavy, especially in summertime. You’ll also notice that locals generally don’t fancy walking, they rather take car everywhere. This make some streets of Dubrovnik really congested. Also area around old town consists mainly of one-way streets. The only time you’ll need a car in Dubrovnik is if you decide to make day trips. For that we highly recommend that you rent a car for a day or two, and for the rest use buses or walk. By walk: Dubrovnik is small enough to walk everywhere. Even if you stay in neighborhoods further away from old town, like Lapad, Gruz, or Babin Kuk, worry not, the old town is max 30-minute walk from anywhere. However, some parts of Dubrovnik are on high slopes of hills above the town. If you aren’t up for climbing, choose your accommodation wisely, and avoid staying up in the hills. By taxi: Taxis in Dubrovnik are generally expensive. UberX service is available since June 2016, but UberX seems to have similar prices to other taxi providers. Expect to pay 230 Kn (around 30 euro) from Dubrovnik Airport to Dubrovnik Bus terminal. From Gruz Port to Pile gate you will pay anywhere between 80 Kn – 100 Kn (11-14 euro). We often get asked by readers of our blog if we could recommend a transfer company for them to use in Dubrovnik, particularly for airport transfers. However, until recently we avoided such a recommendation. First, we couldn't really guarantee for anybody, and second, we couldn't know if the person we would consider recommending would be available for the time needed. Now finally there is an online solution for pre-booking your transfers – RIDEWAYS. You can easily pre-book your transfer the moment you know your arrival date and time using Rideways platform, and cancellations are possible up to 2 hours before a pick up time. At the moment the Rideways have fares similar to Dubrovnik taxis, but hey at least you don't need to queue in line for a ride. Dubrovnik has a good choice of car rental companies. However, the demand for car rentals in the main season is very high. For this reason we always suggest that you rent your car well in advance if you plan to visit Dubrovnik. You can check Rentalcars website for the best deals, and price comparison. Also, the earlier you book, the better price you'll get. Find where to stay in Dubrovnik with our Dubrovnik accommodation guide. Hope you've enjoyed our post on top things to do in Dubrovnik. As always, if you have any questions, comments, or suggestions, please leave them in the comments below. Hi! Thanks for the great suggestions. FYI Mount Srd is 412 metres (1,352 ft), not 778m as indicated in your post 🙂 Only noticed this as I’m writing an article myself on Dubrovnik and looked to your post as inspiration! Thanks Frank. We’ve just spent 10 nights in Croatia – plitvice, zadar, split and Dubrovnik. It’s our first time in Croatia, and found your site invaluable! Great to hear that, Joanne! And really happy that you’ve enjoyed Croatia! You have saved me weeks of research. I so value all of this information and your suggestions (especially tourist vs local options). Thank you! glad you find the website useful. Did you check our post on things to do in Split: https://www.frankaboutcroatia.com/top-things-to-do-in-split-croatia/ ? Many activities are listed there. Sea kayaking, a visit to Blue Lagoon, islands hopping, and Cetina rafting or zip-lining are all great. Sir, your website is quite a wealth of information. Thank you for spending so much time on it. It has made my planning for our trip to Croatia much easier and more fulfilling. Thanks, Tom! Glad I could help. Have a nice time in Croatia! This is the most detailed guide for Dubrovnik I have seen, Frank! Thanks for the efforts. The cable car looks spectacular. There’s a wonderful one in Yeosu, Korea, where I live, too, but I think it probably pales in comparison to Dubrovnik’s. I can’t wait to venture to Croatia. It’a a place that was always somehow evaded my travel plans. I will, however, be rectifying that soon. Enjoy the rest of your day.